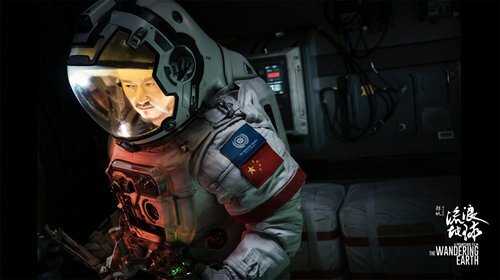 In July, Guo Fan, director of the upcoming Chinese sci-fi film The Wandering Earth, adapted from Hugo Award winning writer Liu Cixin's short story of the same name, sat down with the Beijing News to talk about the movie, which according to its trailer is set to debut later this year. The film, as well as the original story, takes place in the far future as the Sun turns into a red giant, forcing humanity to find a way to move the entire Earth to another solar system. Starring Wolf Warrior 2 director and lead actor Wu Jing, the film finished filming last year, according to the film's Sina Weibo account. Marketing for the film started in January when it released its first conceptual trailer. The second trailer, released in March, features footage of former US president Barack Obama. Some consider this to be an Easter egg of sorts, since Obama is a self-proclaimed huge fan of Liu and his sci-fi trilogy Three-Body Problem. Obama met the Chinese sci-fi writer for the first time at the Global Education Summit held in Beijing in November, 2017. 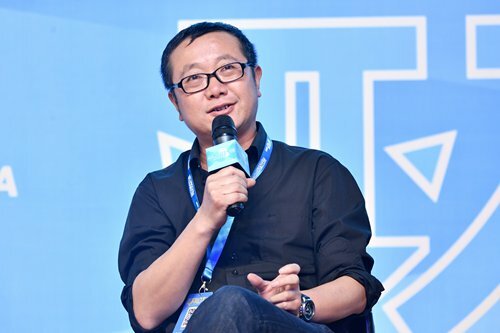 According to a report from Non Exist Daily, the online platform of the Chinese sci-fi Brand Future Affairs Administration, Obama praised The Three-Body Problem and asked about Liu's next book while he chatted with the Chinese writer. Liu, in turn, gave a signed English edition of his short story collection The Wandering Earth, which was published by Head of Zeus in 2017, as a gift to the former US president. In a 2017 interview with the New York Times, Obama described Liu's Three-Body Problem as "wildly imaginative, really interesting" and "fun to read, partly because my day-to-day problems with Congress seem fairly petty - not something to worry about." The former US president's affection for the Three-Body Problem trilogy is obvious as Liu revealed in a 2016 interview with the Southern Daily paper that the White House even approached the publishing house to ask for a copy of the English edition of the trilogy's third novel, "which at the time hadn't been published and so they couldn't purchase," Liu said. China's first Hugo Award winner, Li has already published four novels in English - the trilogy and Ball Lightning, which was published in August by Tor Books.